Serving Home Buyers and Sellers and residential Income Investors in the San Francisco East Bay Area since 2004. Find You Ideal SF East Bay Property. Use our website to view over 8,000 active property listings in Contra Costa County, Central, Western Alameda County and Western Solano County. Every day, hundreds of new property listings are added. 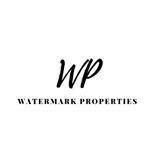 This is your website for active properties, and you can review them and have one of our agents provide you detailed property information or schedule a viewing by just clicking on the property. Just go to the east bay area or city and view the newest listings, homes, Condos/Townhouses, Multiple Unit Properties and more. Information Deemed Reliable But Not Guaranteed. This information is being provided by the Bay East MLS, or CCAR MLS, or bridgeMLS. The listings presented here may or may not be listed by the Broker/Agent operating this website. This information is intended for the personal use of consumers and may not be used for any purpose other than to identify prospective properties consumers may be interested in purchasing. Data last updated at Apr 26, 2019 7:10:am.